Although I still have a very soft spot for this watch, I now have other favourites. In truth, probably my most favoured 7A38 variant isn't actually a Seiko-made 7A38 at all, but its French N8 cousin from across The Channel - the Yema Spationaute III 'Aragatz' (43mm). I'm going to post a fuller introduction in the Blog section presently, but if new members could take 5 minutes to reply to this thread, pretty soon we'll all know who's who. These are the kind of interesting stories I like to read and I am sure I am not alone. The site is sure to pick up new members and things will grow nicely! looking forward to the weeks months and perhaps years ahead lol ! Thanks for supplying us with a standalone site for this great horological marvel. And you are .... ??? Dave, right ? This is supposed to be the 'introductions' thread. Gotta be careful how I use the somewhat limited choice of smilies. Hi, my name is Simon. I have always (well, since I was about eight) been fascinated by watches, their complications and function, and of course their practical use. 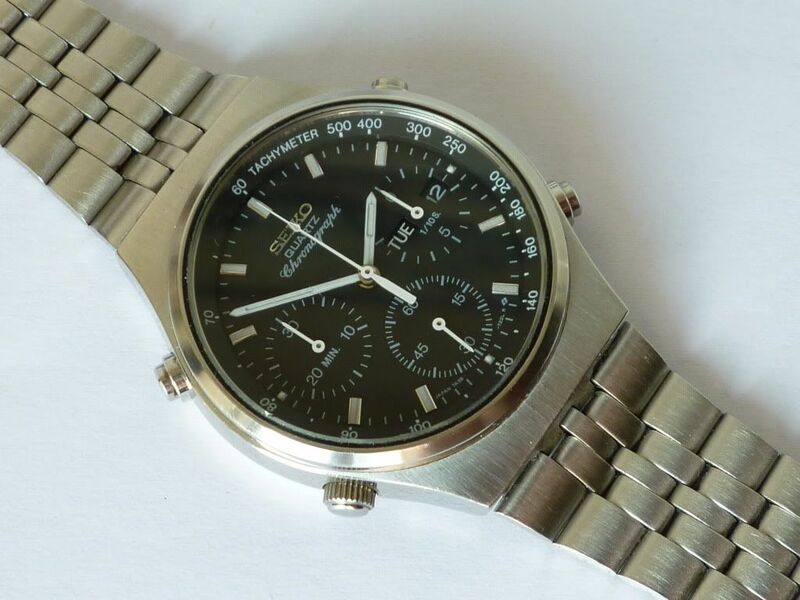 My first 'expensive' watch was bought around 1988/9 - its a Seiko 5Y37, sometimes referred to as the Levante. Up to this point almost all of my watches had been digital - mostly casios, but I did have a Seiko digital around 1980 or so. I wish I still had it and I occasionally look on the bay for the same model. I haven't seen the exact one yet. Around 2003 I was left some money by my grand parents and decided to buy the 'one' watch that would stop me wanting to buy anymore. I'd set my heart on a Rolex Sub, until a chap at work (who was into watches, owning a Sea Dweller and a nice Tag Carerra) suggested that if my budget would stretch to it I should be getting a Daytona. After several months of pondering and searching etc. I found one to go for - a black dialed SS model that was new, being sold by someone who had been on the waiting list, paid the £3700 or so they were at that time and then wanted to move it on for a quick profit. After buying this one, I soon realised that there was no such thing as the 'one' watch, and since then I have been collecting. 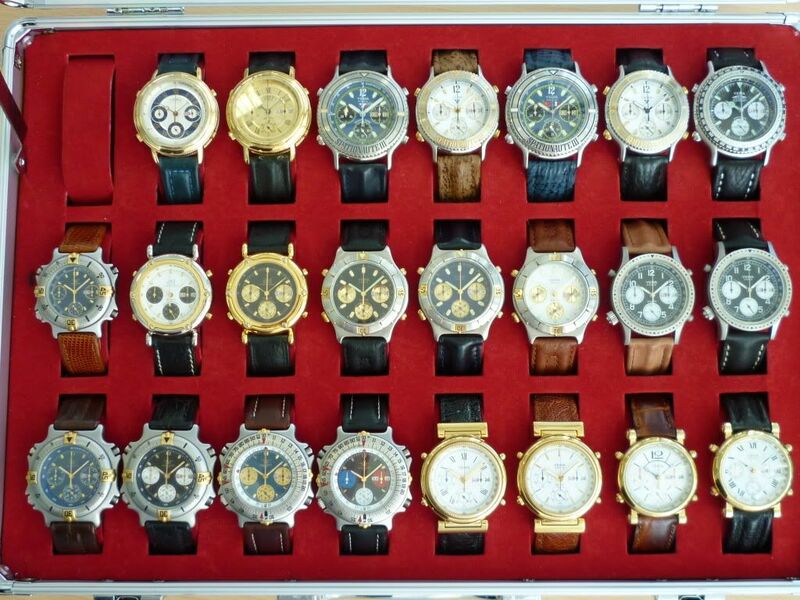 For some time after 2003 I was fortunate enough to be able to invest in some very nice high end watches. I have always tried to buy either classic or limited edition watches. More recently I have started collecting relatively much cheaper watches. At the end of the day, a watch is a watch - with history (if it is either 2nd hand or NOS), history of brand, complication, association with people or events, quality, beauty, functionality and general engineering innovation and build. I don't think I will tire of the watches I own or collecting new ones. I do think that the watches built 10, 20 or even 30 years+ ago are more interesting, if only because they are no longer available. They also represent part of my own lifetime history and I can associate with the years they were built. I own a couple of 7T59's, a 7T32, my first 7A38-7000 (but probably not my last) and a LCD re-issue of a 1980's model. And the 5Y37. I am very passionate about watches but not as well informed as some. I do love learning, asking questions and discovering new things!! Publish and be damned, as the saying goes. My name is Paul too, and I'm one also. I'm behind on work here right now, so I'll quickquote my note to Paul S.
Nice to hear from you. No, I'm barely aware of other collectors so I'm very pleased to hear from another. I'll be happy to participate in a dedicated website and look forward to contributing any way I can. Unfortunately, I'm not a scholar of the marque just yet -- or very technically adept in horology -- but I hope to soak up information and wisdom from those more experienced and devoted to our fine little machines. I'm a photographer by trade and fully intend to document my collection, although it's a project that's been waiting for me to clear some space in my life. At the moment I'm working on a couple of deadlines and only manage to maintain my database with photos cribbed from ebay listings. I intend to improve on them one of these days. I look forward to hearing more details of your project. And I look forward also to setting forth my saga of transformation from a man with a broken watch to a man with many watches -- most of them working. I will say at the outset that my entry into this obsession started in 1995 with a dive into a swimming pool that destroyed my beloved 7A48-7000, the only watch I had ever loved to that point. I didn't know what it was called or how I would ever find another, but the magic market of ebay and forums such as Watchuseek informed me of the many variations on the 7A caliber (such a fine new word!) -- many of which I now find unnaturally attractive. A modest inheritance has permitted me to accumulate a bunch of these objects of desire, under the happy delusion that they are a better place to invest my cash than pathetic savings accounts. That's a subject that I'd very much enjoy corresponding on, although others confirming my delusion will probably not cool my ardor for vintage Seiko. It's been a worthy pastime and my wife seems pleased that I'm not spending my time and money on strong drink and fast women. Sadly, I have no one to discuss my obsession/delusion with, and I look forward to getting some time off to write too much about it to the few souls who will understand. For now I must sign off abruptly with best wishes to all for this brave new year. Greetings All, My name is Chris and I too have been bitten by the 7A bug! As mentioned in a previous post, I believe the 1980's was SEIKO's decade of excellent design and quality, if the 7A series were to be produced today they would be a huge hit. 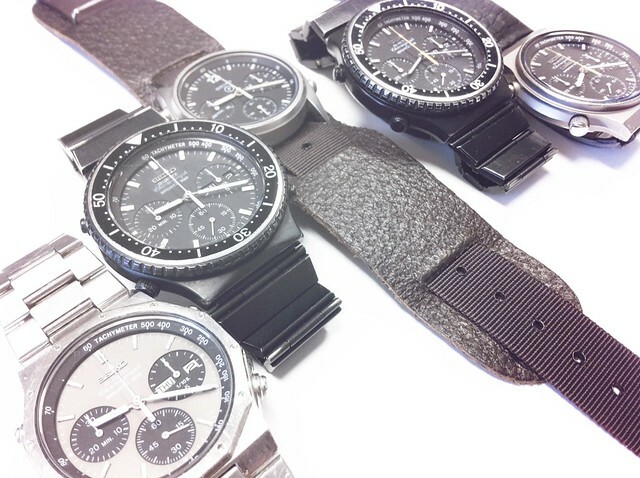 With the quality and looks of Sinn/Porsche design and at a tenth of the cost the 7A series offers unrivalled quality at an affordable price, a shame SEIKO designers today are not producing such an outstanding range. My Seikoholism started when I had a lucky find at a carboot, I found a RAF Gen1 7A28 watch, since I have been buying 7A28/38 within my budget. I look forward to being able to gain further knowledge and MORE 7A watches from fellow users of this forum, I have some spares which I am happy to swap for spares I require when available. Cheers to Paul for setting up this forum, Paul's knowledge of the 7A series is unbelievable and I am sure we are all going to appreciate being part of this community. Well bye for now.... I am off back to the bay to find more 7A's, LOL! Yes my name is Dave, I have recently aquired my first Seiko 7A38 and already I can feel a bond with the type and I get the feeling I am going to have a few more of these before too long. I hail from West Yorkshire am 57 yrs old and my watch addiction does need taming as does my other addiction riding motorcycles lol !! One of the reasons I am leaning towards these is that I have started to get a little fed up with having to wind and set the mechanical watches every time I want to wear one. Its just more damn convenient being able to pick one of these up and strap it to my wrist knowing it will be pretty damn accurate from the get go. Another reason is because they are so good looking a classic style good size being not too big and not too small they seem to suit me sir ! I look forward to contributing and hearing from other like minded folk on here. So thanks for providing us with the facility Paul. Will post some piccies of my first 7A38 shortly. I've spent 18 months buying Seikos and seem to be diversifying on a daily basis. I am not looking for perfect examples (though i've a few) more interesting types are preferable. Strangely, I view the 7A38 as the superior 80s chrono, moreso than it's brother the 7A28. The strong influence of Paul's extensive writing, methinks! I only have 2 7A38s. Both 7A38-7270s. One a mint one, one my daily wearer for the last 3 (?) months. In an ideal world a 7A38 6020, much like the one on the 'bay right now would wend it's way towards me but my budget is on the lower side of things. I'm more 30 watches for £50 each rather than 3 watches for £500. Nice to see a couple of Yema N7s in there, amongst all those 7A28s. My box of Yema N8s (and their C.G.H. French relatives) say Hello Bonjour. Hi there, to start with let me say I am flattered to be around. I'm based in Spain, please bear with me if my English does not raise to the occasion at times. Most I had the chance to learn about 7As, I learnt it from Paul, one of the most knowledgeable and dedicated on the matter. A watch lover more than a collector myself, always eager to learn. Thanks for letting me be around Paul, and thanks for all the help and insight you have provided me for quite a time. Cheers!! I'm Brandon, and it's a pleasure to be on this forum with such nice-seeming people. My path to 7As started a love of military watches (I shouldn't say that too loudly, since our boss isn't the biggest mil-watch fan ). After picking up a few cheap US and UK field watches, I discovered the Seiko RAF "Gen 1" 7A28-7120 and was smitten. I waited until I found one at a decent price then jumped on it. It's still my favorite 7A, despite the severe lack of date function. I also have a couple dozen other watches, including some nice examples of the Watches We Don't Talk About (Seiko divers and vintage chronos), and a nice Swiss or two. Again, pleasure to be here. Looking forward to some good discussion! Glad to see you read some of the other topics, before making your intro'. Sorry about the ban on moving avatars. Your SCWF one is really quite tasteful. But if I allow one member to have one, then everyone will start wanting one - and before long, it'll end up full of distractions like all the other watch forums. ..... and less of the 'Boss', please Brandon - Revered Leader will suffice. PS - reference your @ Mark - in case he doesn't pick up on your comment - Don't be too jealous. Dear Darren (or whatever you real name may be). I suspect that hailing from Essex your mates probably call you Dazzer. Thank you for taking the trouble to register and pass comment on the site. At this time, I am only inviting known 7Axx collectors and enthusiasts to join the site and register. I certainly don’t need ‘students of the marque’ to pass unqualified comment on my alleged mis-management of it. I am well aware of my own shortcomings. However, I also found your personal choice of username offensive. So, Goodbye Darren. Hi, my name is John. 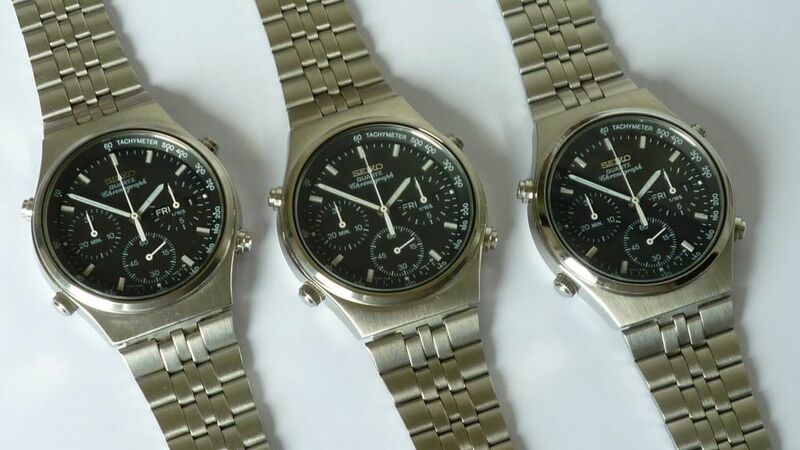 I suppose my interest in watches was first sparked back in the 70’s, when a friend of mine turned up for school one day wearing a Sekonda chronograph, which was a bit of a rarity in those days. 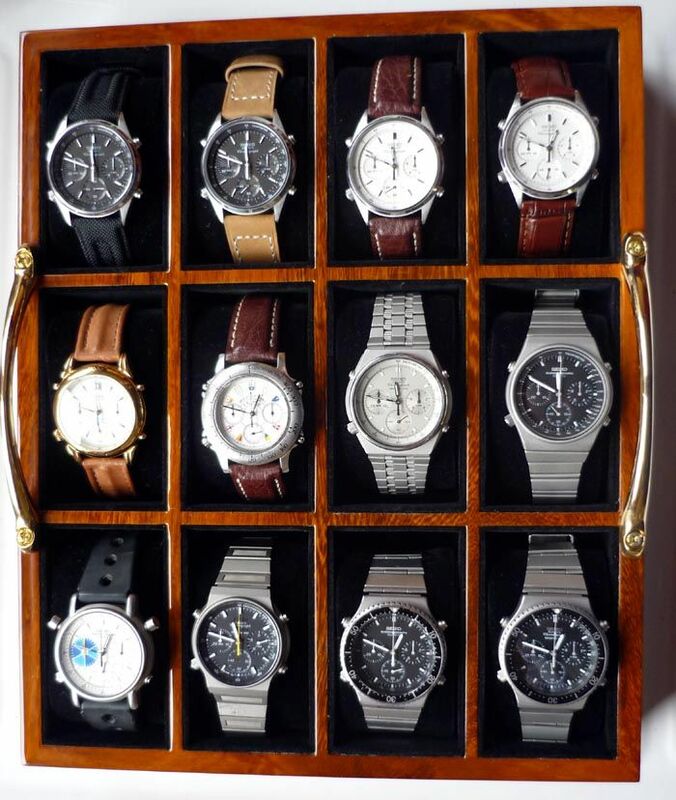 I started “collecting” watches in 2001 although, only having a dozen or so, I’m probably best described as an enthusiast rather than a collector. I never had any interest in quartz watches until I joined a watch forum,seeking information on tuning fork movements, and came across posts about the 7a38 by a certain collector. The 7axx series has since become one of my favourite watches and although as I have said, I don’t have a huge collection, it now includes a couple of 7a38’s. I’m glad to be part of this forum and look forward to furthering my knowledge of these great watches. .... but you do realize that the watches we talk about on this forum are older than you, don't you ? I like old watches, not just Seiko but Casio as well. I particularly adore 7A38 because they are look nice, simple design , not too dressy, and have very clean and logical dial. The all thing begun with my father's old 7A38-7020, the chronograph function didn't work at all. At that time I didn't know anything about the watch (I still have a very limited knowledge about them) so I found couple of very useful threads...probably that was the point when I understood what kind of value I have. Paul has kindly helped me with his useful tips about how to breath life into the chronograph, and guess what now it is ok. I didn't have so much time to go through all the topics here, but after a quick look it seems very-very exciting.